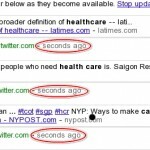 Home > Google > How to Get Listed in Real Time Search Results? 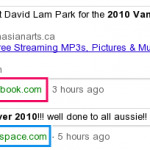 At the end of 2010 it was the decade of Google who provided a lot of new features to its users. One of the major was its “Real Time Search” by providing the latest updates of users querry on a time basis. 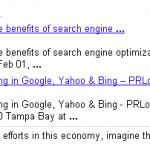 Bing first announced their real time search then Google and Yahoo respectively launched their own real time search which made the scenario more interesting. Twitter plays a vital part in real time search results while FaceBook, FriendFeed, Myspace etc are also considered by the major search engines to upadate their real time SERP. Eventhough Google has not yet revealed its point on how they are listing the resuls, most results shows the contents from major social networking sites. Twitter is one of the effective way to attain this. Google shows the twitter updates generally with links to a site that is trusted by its search algorithms. 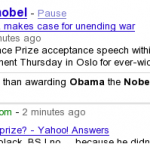 Google analyzes the text given in the tweet, blog post or articles to find out the quality of the post. So the title of your update plays an important role here. Search engines also finds for any spam attempts if you are providing spam links and those will not be listed in the real time results. Let’s check out some important points to get listed in real time search. Titles with appropriate keywords are one of the major facts to get listed in real time results. If you are going to post a new article or tweet, the title should contain the most suitable keywords for that post relevent to the users possible querries. Adding bunch of friends to our list makes a social network more effective. Getting number of followers not only matters your results, instead the reputation of the followers are also important. In order to get followed by other users you need to give relevant informations to the relavant users. Also following other reputed users is important. Sharing your information as much as you can is more vital to get listed in real time search results. If lots of users following you and you are following some, may be the retweets from those will made your information shared with his/her followers. So stay in touch with your followers and the persons whome you follow. 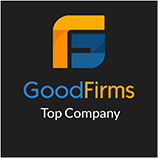 Giving peoples frequent information on what they are interested is another important thing to consider to get notified by real time search engines. How much you tweets,retweets and shows active participation that much there is better chance to get in. The important thing in real time results is informations which are popular right at the moment. So specifying timely events will take you into the target. For example if there is any major product launch or any other events happened its better to share that information as soon as possible in order to get noticed by the search engines. For the querry “Haiti” still updates rolling in Google updates frequently, eventhough the earthquake lasted more than one week ago. Providing buttons like Tweetmeme, Digg, Stumbleupon, FaceBook Connect etc in your article will make other people to share it more easier. Those buttons will provide people a simple way of sharing that information by a single click. It also shows the reputation and worth of your content by providing the number of tweets,diggs etc. As I have told earlier, providing trustable(not spammy) links while sharing is more important to get indexed by search engines in real time. Google also looks at the PageRank,internal link structure, and the content of the site upon the user querry for its real time updates. Of course real time search is going to charge the forthcoming years of search world it’s important to note all the above points. The main thing to consider is, real time search result is all about the visibility. So make your relevant content noticed and talked by other people as much and there by make your way. This is right to get high search engine results on keywords and content. Websites with genuine and unique keywords get good results.